Welcome to Roses & Weeds! A City of Tyler podcast that is here to keep you up to date with current events and news related to our beautiful city. In this episode we are joined by Amber Rojas, Tyler's Historic Preservation Officer, and Henry Bell from the Tyler Area Chamber of Commerce. For more information on the city of Tyler's Historic Preservation please visit our website here: http://www.cityoftyler.org/Departments/HistoricPreservation.aspx For more information on the Tyler Rose Festival please visit their website here: http://www.texasrosefestival.com/ For more information on the Tyler Rose Garden Center please visit them on the web here: http://parksandrec.cityoftyler.org/ConventionTourismFacilities/RoseGardenCenter.aspx And for more information about the Tyler Area Chamber of Commerce please visit their website here: http://www.tylertexas.com/ Roses & Weeds is recorded at the Tyler Innovation Pipeline, which is a makers space staffed by the city of Tyler and the University of Texas Tyler College of Business and Technology where you too can come record a podcast with our world class audio studio, record something on a huge professionally lit green screen, use 3d Printers, Laser Cutters, and so much more. Memberships are now available. Roses & Weeds is hosted by City employees Veronica Brady Innovation Manager of the Innovation Pipeline and by Samuel Brady from Tyler GIS or Geographic Information Services. If you have any questions, comments, or ideas for future show topics please reach out to us at PublicRelations@TylerTexas.com, and be sure to #rosesandweeds all your questions to the City of Tyler on social media. Recordings of City Council, as well as Meeting Agendas, can be found here: tylercitytx.iqm2.com/Citizens/Default.aspx. City Council meetings are held on the 2nd and 4th Wednesday of every month at City Hall 212 N. Bonner Ave, Tyler, TX 75702. Music used in intro and outro is Surfing day by Marcos H. Bolanos on Unchained Melodies Vol. 2, Creative Commons. 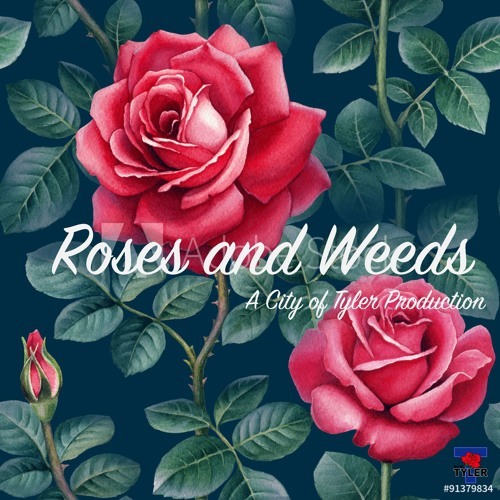 Roses & Weeds is a City of Tyler production, all rights reserved. This episode was produced by Samuel Brady, Julie Goodgame, and Veronica Brady. Edited by Samuel Brady. Shownotes by Samuel Brady.